Fully inclusive of all equipment, transport and superb foods with bush tucker and environmental interpretation. Professional and personable guides give insight to the land, its people, wilderness. As well as aboriginal and significant history overview of Australian animals in their habitats. Full Day adventurous bushwalks – medium grades within 2 hrs of Sydney where medium to good walking fitness required. 2-3 day walks Hunter Rim Ramble, Six Foot Track, Deep Pass. Eco Tours and Environmental Interpretative Bushwalks around Sydney, the Blue Mountains, Hunter Valley and Gold Coast from Surfers Paradise. 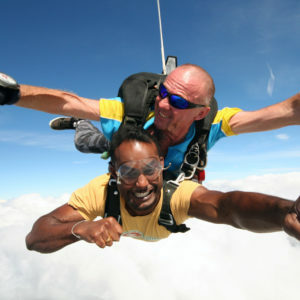 Bushsports designs and facilitates wonderful team activities and Bushwalks. 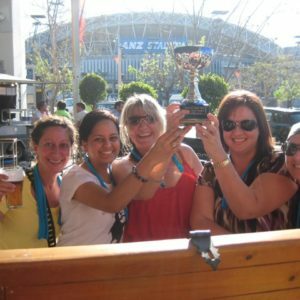 – environmental interpretation, fun team activity + aboriginal dreamtime legends with professional fun interactive guide. BA Human Movement; Grad Dip Ed. A superb bushwalk down and around the Three Sisters enjoying unspoilt views into the Jamison Valley. Cross mountain streams and historic coal chutes on an enchanting eco-bushwalk through the Grand Canyon of the Blue Mountains. Descend into a spectacular rainforest environment, following the erosional water force that created such a magnificent easy access canyon. Delightful eco-bushwalk through the Grand Canyon of the Blue Mountains. Descend into a spectacular rainforest environment, following the magnificent canyon along its majestic path that it has cut through the sandstone down to a spectacular waterfall spilling out into the Grose Valley. One of the best bushwalking discoveries you will make! Lookouts & cliff-top walking along the magnificent rim of the Grose Valley, from Govetts Leap surrounded by hanging swamps teeming with wildlife. Enroute we stop in at Euroka Clearing to observe the Eastern Grey Kangaroos that inhabit this fertile volcanic dyke. A selection of Aboriginal sites representing 22500 years of occupation can also be investigated at Red Hands Cave, Kings Tableland or Walls Cave. An eco-bushwalk into an historic valley! Venture from the valley Rim down to the canyon base, investigating a intricately weather-worn canyon which becomes cool, narrow and constricted, rock hopping and gingerly stepping past crystal clear pools. Its diverse history involves Aboriginal art and remnants of pioneering life in this guarded fertile valley. Fresh babbling brooks meander through the natural mountain pass where we explore caves and chasms that have been sculpted deep into the sandstone beds. Gain insight to the ecosystem observing yabbies, Lyrebirds, goannas and abundant wildflowers in a tranquil oasis with professional guides. Opportunity exists to swim or rest contentedly. Suited to beginners with basic fitness. Extensions: Wolgan View Canyon or Glow Worm Tunnel From Deep Pass we drive out to the Glow Worm Tunnel and bushwalk into Wolgan Valley, listening to the murmurs of early mining life. Then follow up another canyon system, water worn through the ages to the incredibly engineered, kilometre long tunnel with thousands of glow worms displaying a starry network of brilliant phospherance. Background: Bushsports would like to welcome you along, on an historic journey along this nostalgic track. Choose to begin from Jenolan Caves; 3 day walk or The Black Range on the 2 day walk. 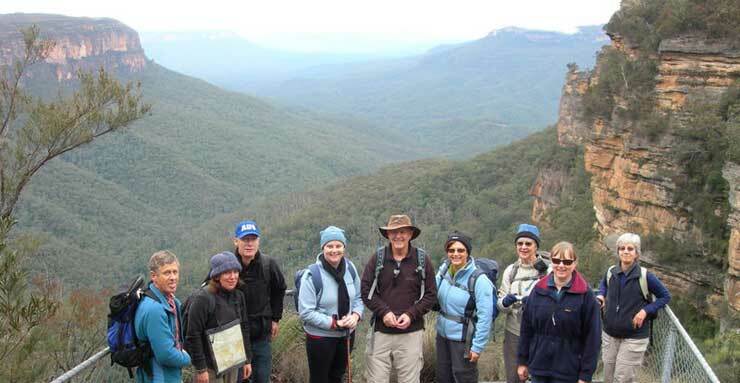 Your group can choose to walk either from Katoomba – Jenolan or down the Black Range by walking from Jenolan – Katoomba!! Discover the majesty of Blue Mountains in its great diversity in the true spirit of a bushwalking trek, sleep in a tent or under a blanket of stars, cook on an open fire or bushwalkers stove. Or select the comfort option of cabin accommodation. Experience the freedom of trekking in the true tradition of Australia’s rugged outdoor heritage in good company. History: In 1884 a group of 4 men left Sydney by train, stayed overnight in Katoomba and then set out to Jenolan Caves covering a distance of 26 miles or 42 kms. It had taken 11 days to mark the bridle track that later became known as the “Six Foot Track” due to the width of the carriages of those days. Today it will only take you a maximum of three days, or a shortened route of two days if challenged for time. 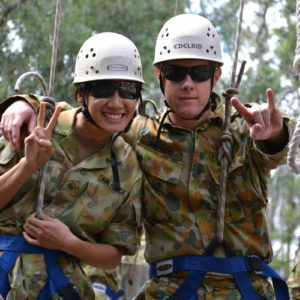 Bushsports welcomes you on a journey of discovery throughout the Blue Mountains and Hunter Valley beginning in Sydney. Exploring National Parks, hidden valleys, magnificent lookouts, forests, waterways, geological formations and Australian outback heritage with friendly guides. Uncover Aboriginal legends and sites, convict stories and history. From coastal plains to the Great Dividing Range, at a much more leisurely pace than the rest of our adventure programs. Flora and fauna of the region is explained and an encounter with native wildlife is assured. Goannas, Kangaroos, Koalas, Wallabies, Wombats, Echidnas, Possums, Sugar Gliders, Powerful Owls, Eastern water dragons and Blue Tounge Lizards or their traces are often observed . Beautiful birdlife including Yellow Tailed Black and Sulphur Crested Coackatoos, Rainbow Lorikeets, Crimson and Eastern Rosellas. Appreciate the thrilling imitating calls of the Lyre-Bird within rainforests and Dry Sclerophyl eucalypt forests. Discover the richness of a region from the ground up as our guides uncover the most intriguing aspects of the areas we visit. Three Sisters, Luera, Brokenback Range, Hunter Valley Wineries. Country style morning tea with a billy on the boil, delicious aussie gourmet BBQ lunch or local cuisine at a fine restaurant, embellished by select Australian wines. Tours can include a visit to the Sydney 2000 Olympic site or join one our specially designed Olympic tours to uncover sporting history in the making.